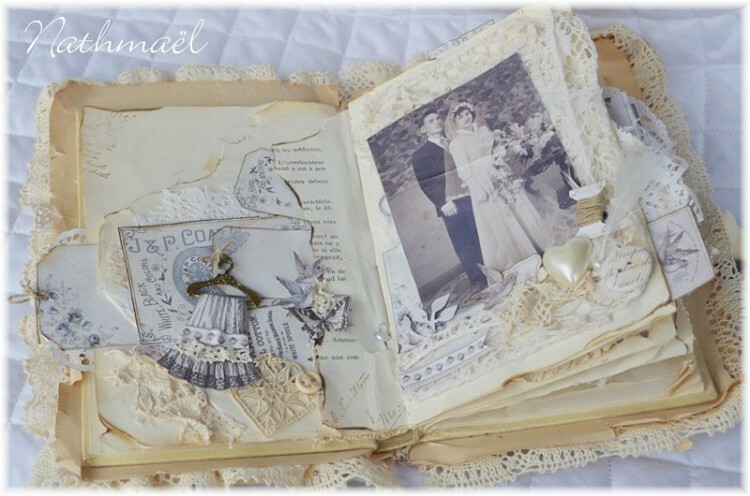 Here is a mini album in an altered book, in which I have used papers from Alma’s Sewing Room collection. 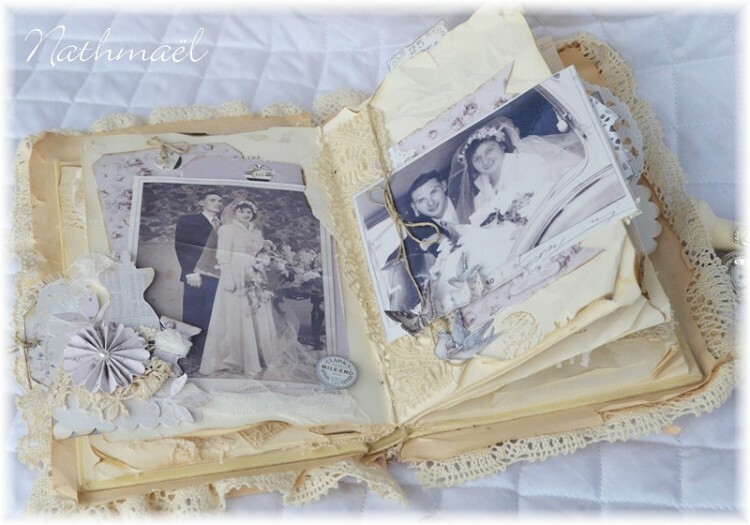 A perfect collection with these vintage/ romantic photos, and a present for my grandparents. I found these beautiful photos of my grandparents’ wedding last week. Very lovely , all those nice details. Oh, this is absolutely stunning!! But not only that, but also all the details and loving feelings you put in this beautiful piece of art. Your grandparents were a beautiful and happy looking couple. This is truly a gift from the heart and I hope they will treasure it! Bravo Nath, je le trouve magnifique, et je suis certaine que tes grand-parents vont adorer. Bravo pour tous ces petits détails si bien travaillés. 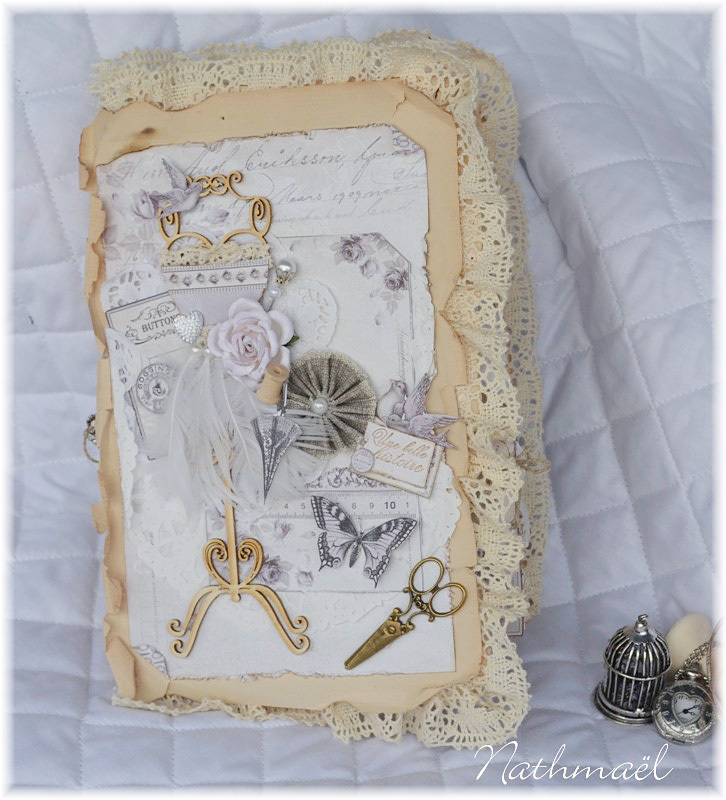 C’est un superbe cadeau que tu leur a fait là, très vintage et romantique. Bisous.